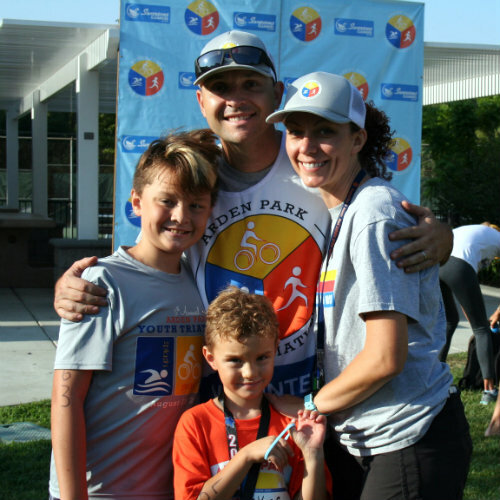 It’s been almost two weeks since our 7th edition of the Arden Park Youth Triathlon, but the excitement feels like it was yesterday. As I think of all of the proud faces crossing that finish line, my heart fills with joy! It also fills with gratitude for all of the people that made this event go off without a hitch. THANK YOU to all of our wonderful volunteers. Many of you stepped up when the call was put out that we needed help the day of the event. I was fortunate to have three ladies from our community step up when the call was put out early that the event was in danger of not happening because there weren’t enough people to plan. Cassie, Sylvia and Hester, thank you for your willingness to help! This event is simply not possible without the support of our community. Please consider joining in on the planning fun for next year. Plans are already under way. Email me at ardenparktriathlon@gmail.com for details! I can’t say enough about our amazing sponsors. You all seriously brought the fun this year! Swansons Cleaners, Szymanowski Orthodontics, Chalmers Dental, Little Whale Swim School, Lisa Nielsen Laptalo, DMD – Dentistry for Children, The Salvetti Group – Wealth Advisors, Augustine and Associates, J.K. Groves Real Estate Group, MBK Engineers, Starbucks (Watt & Fair Oaks), Yo-Yo Yogurt, Bel-Air at Eastern and Arden, thank you for your continued support of this event! Our course was made and kept safe again this year by the equipment generously donated from Teichert Construction. The delicious cookies and breakfast bars were donated again by Fat Cat Bakery. And, who doesn’t love the sound of that familiar voice…Steve Buzzard rocked this event, again! This year we had a few new sponsors, Ross Rushton, Loan Officer with Big Valley Mortgage, The Niello Company, and California Family Fitness (Watt). Thank you for joining the APYT family and helping to make this event so successful! We hope to have you all back next year! Performance Bicycles – Howe Avenue was there again this year to help with any bike repair needs. I got a chance to go over and thank the gentleman that came out to work the event. He’s not from our local store, but still close by. He was in awe of our event. He told me that it reminded him of when he grew up in a small town where families would go out and just be together being active, cheering on their friends and enjoying life. The excitement he showed about our event warmed my heart and gave me a great sense of pride for our community. We all came together to make this awesome event happen for our children. I can’t wait to see what next year brings…the new faces that will carry this tradition on to a whole new set of kids of all ages doing their first triathlon or the seasoned pros that have done this event since the very beginning. Watching Zach Chambers race his heart out and cross the finish at a full sprint was almost as fun as watching my own 5-year-old son cross that line for the very first time. PS. If you lost any items the day of the event, please contact me. I have a full bag of lost and found including some pretty nice towels and coffee mugs!